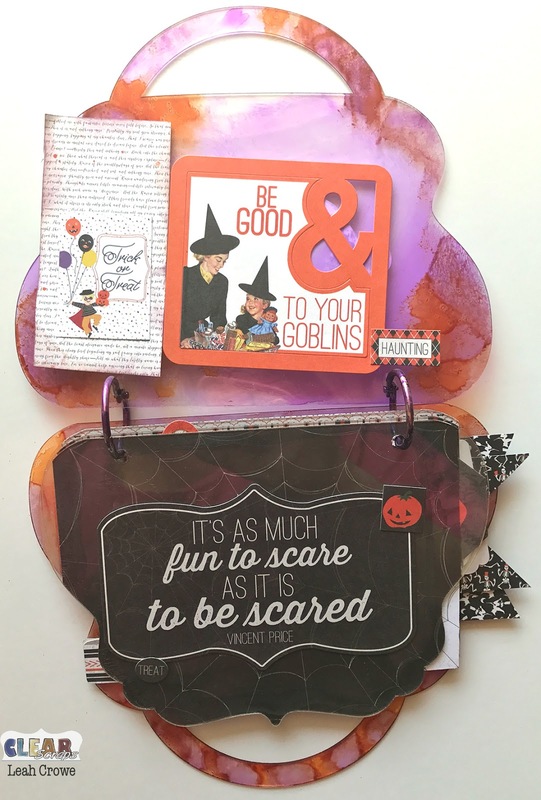 This layout makes me SUPER happy. I just really love how it all turned out. 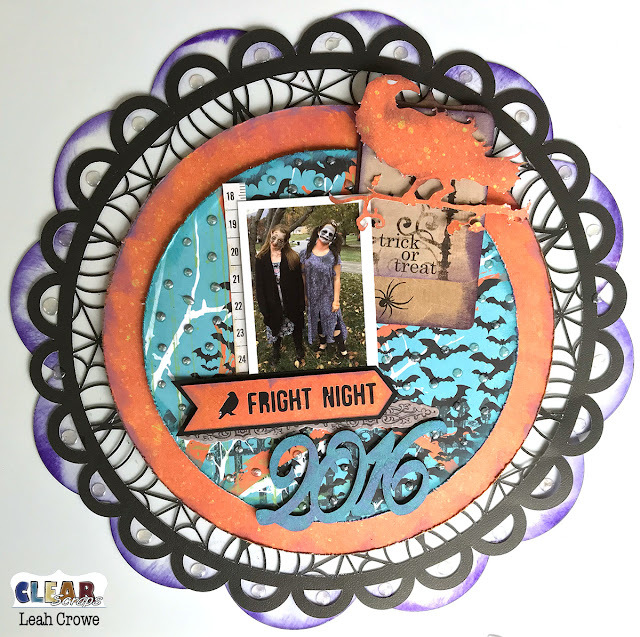 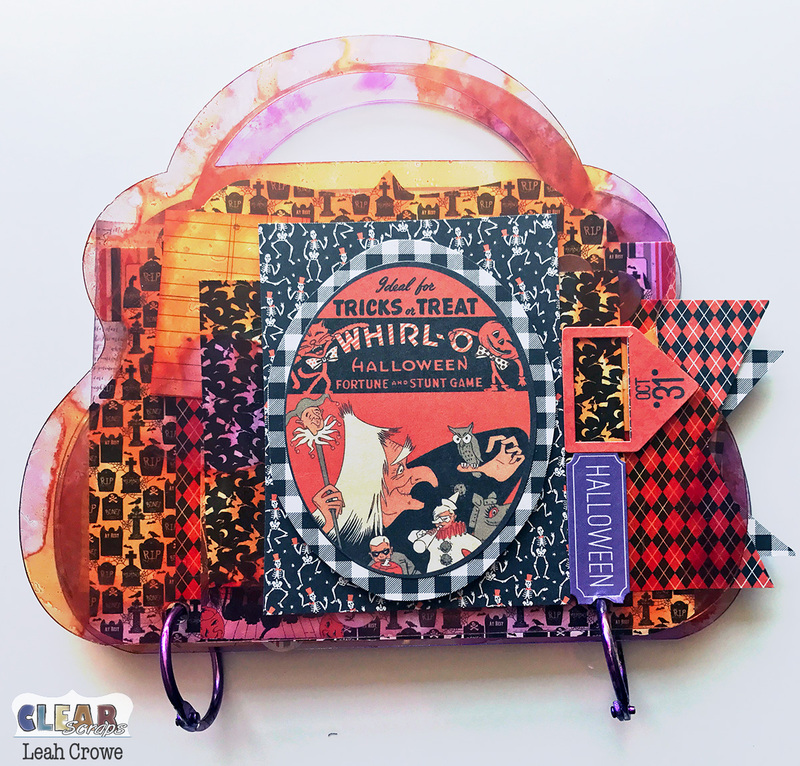 I'm up on the Clear Scraps blog today. 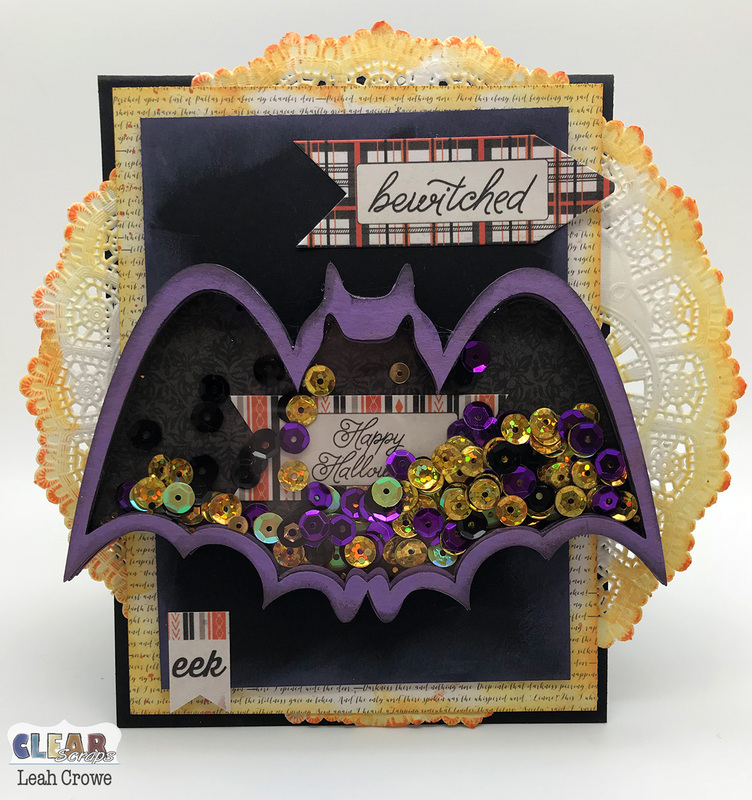 I used a shattered glass stencil to add some details to the chipboard word title. 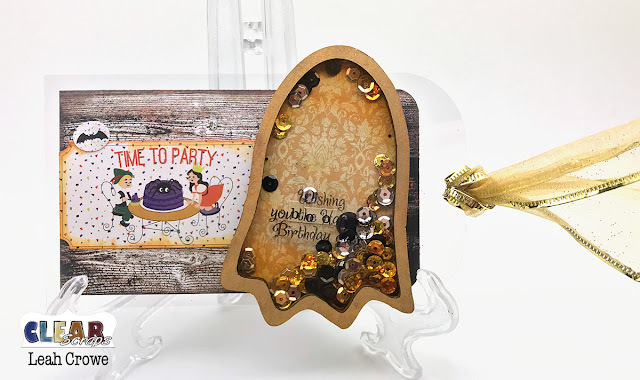 The sentiment says Wishing you the happiest birthday ever! 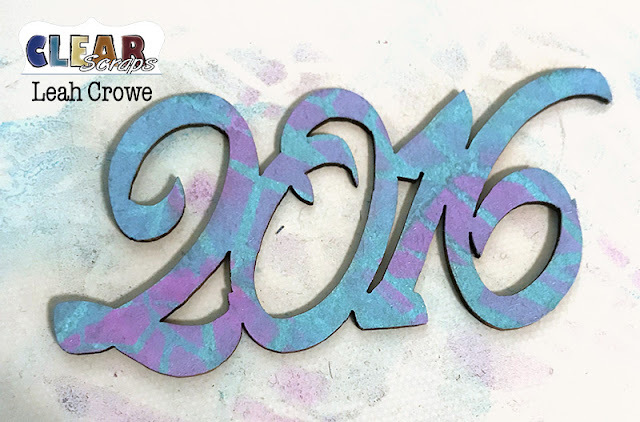 It will look much better a little higher up for sure. 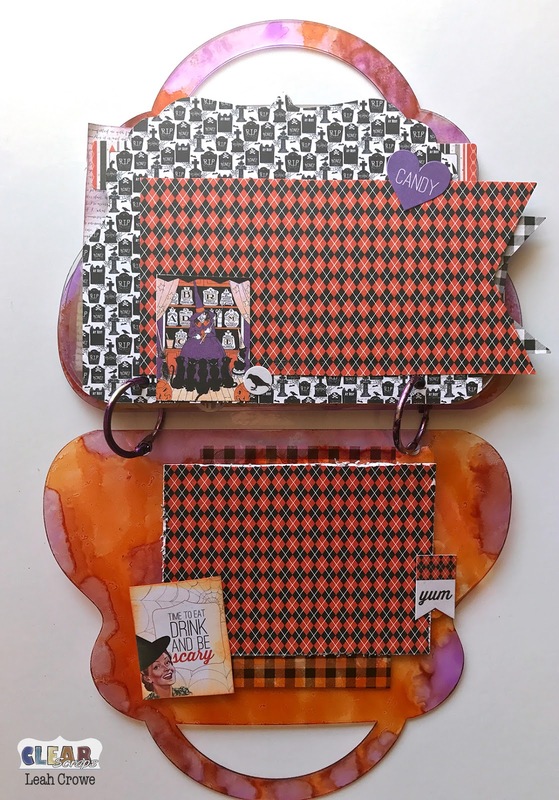 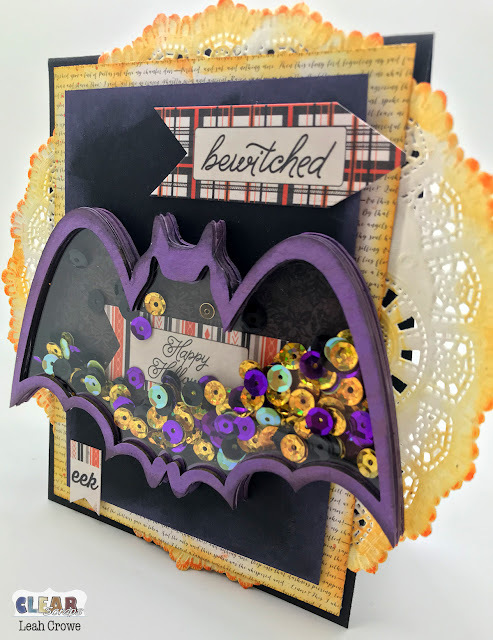 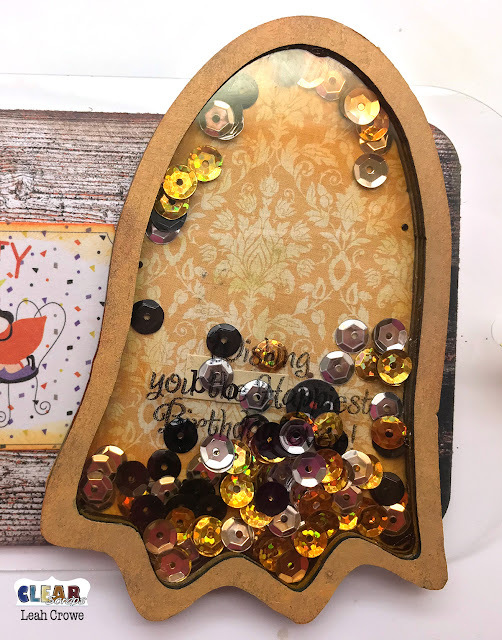 I'm sharing the last project this month using the Creating Made Easy October 2017 kit. 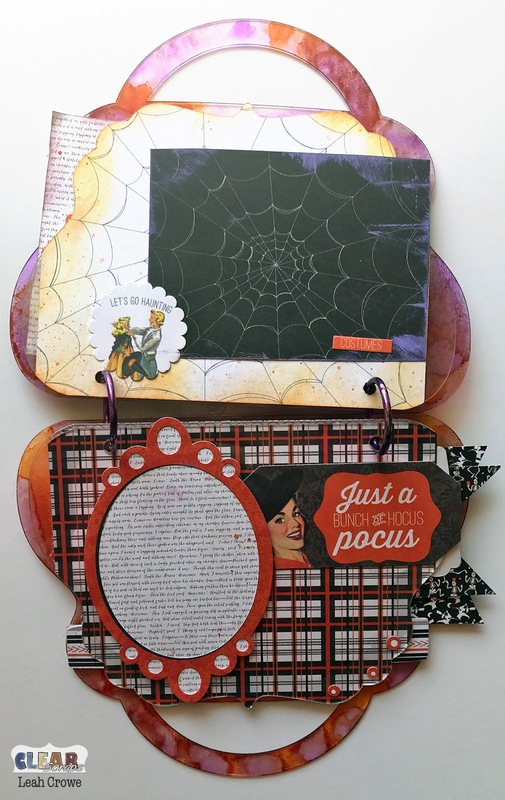 Here are some of the inside pages. I share most of the steps on how to re-create it on the Creating Made Easy blog. 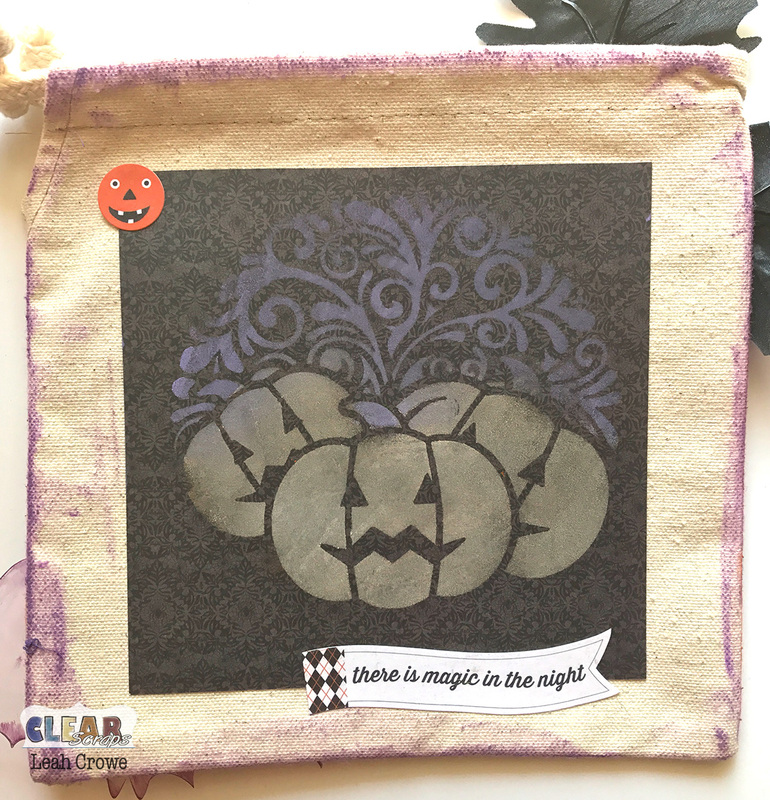 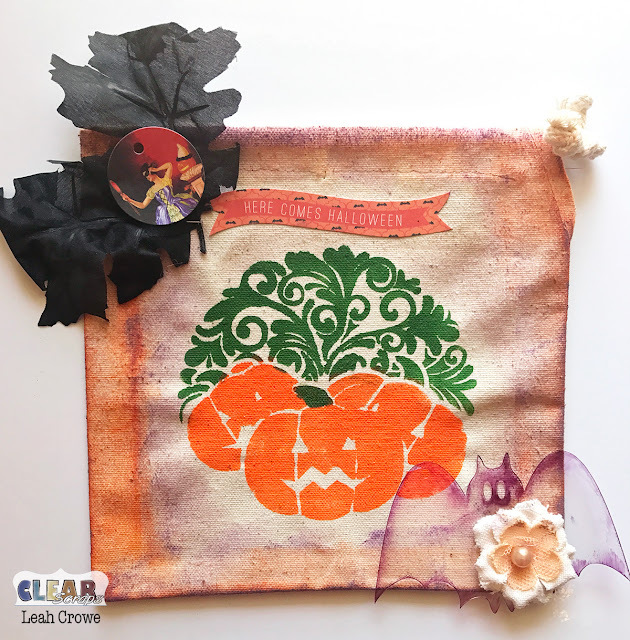 Today I have a small video to share with you showing how I stenciled this fabulous canvas bag from the October 2017 CreatingMadeEasy kit. Here's the back if I decide to switch up the look during the season. 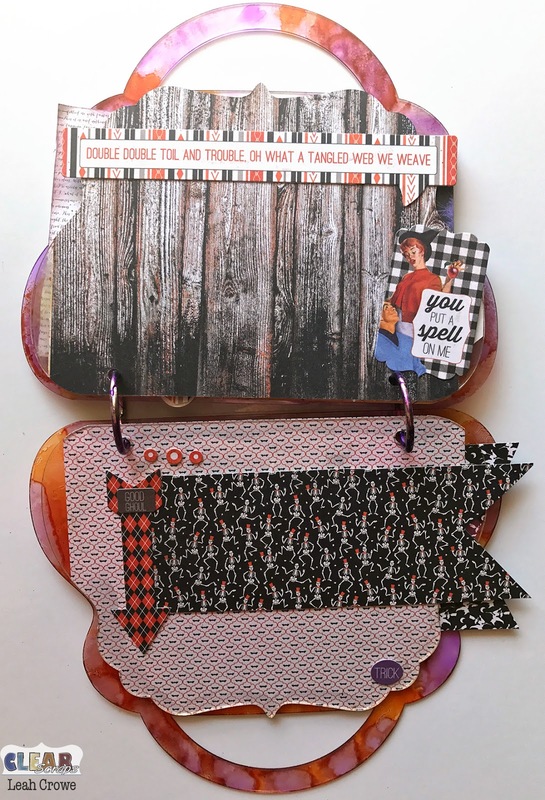 Hey, Creating Made Easy friends! 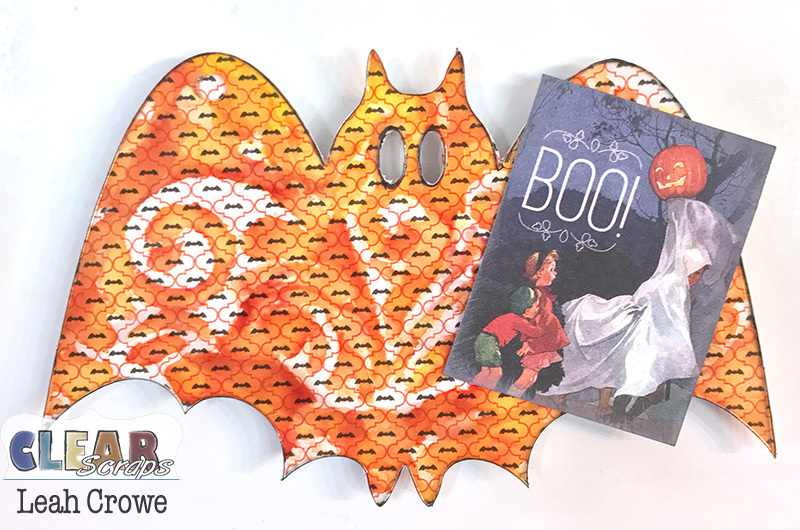 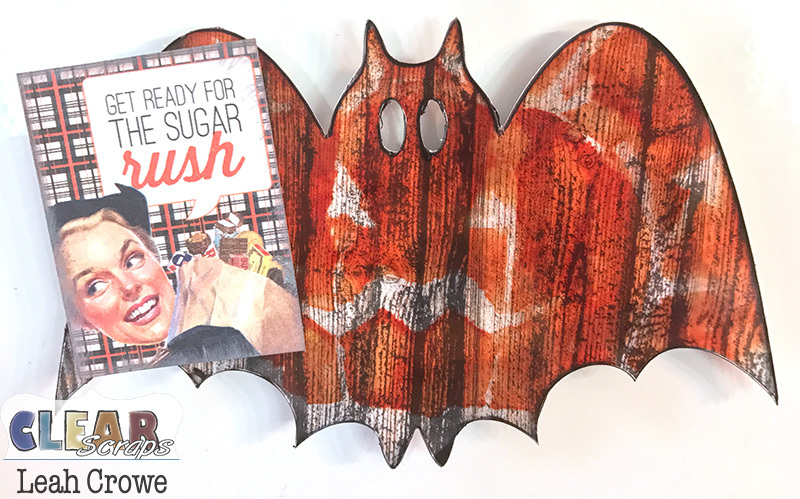 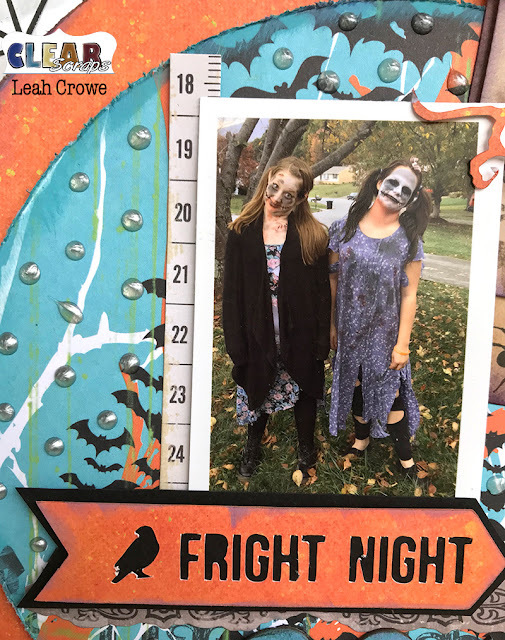 Leah here with you today to share my bat magnets that are perfect for dressing up your refrigerator using the October 2017 CME kit. 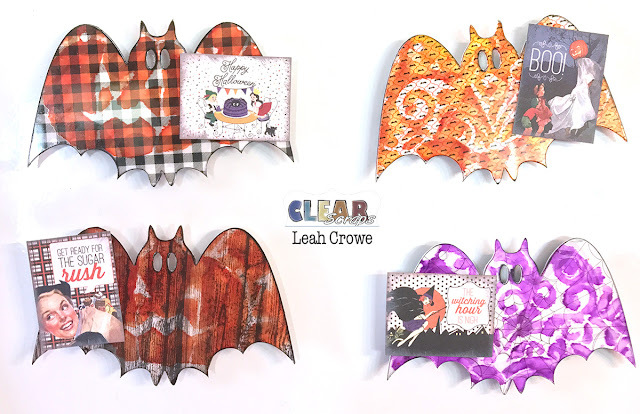 These bats came in the October kit as a mini album, but I decided to turn them into decorations for the fridge. I'm a sucker for magnets and these bats hit the spot and are a perfect size. 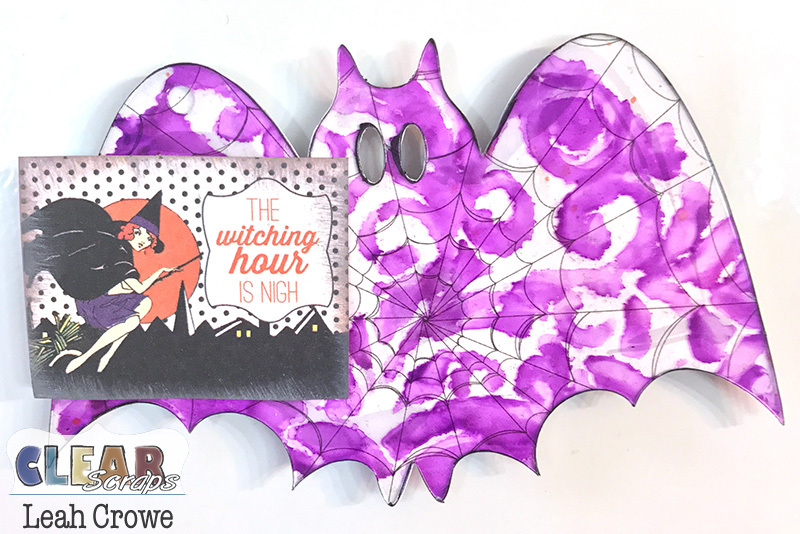 I started out by removing the protective film from the front of all the acrylic bats and then stenciled different sections from the pumpkin stencil using alcohol inks. I then removed the film from the back side of the acrylic and adhered pattern paper using Beacons 3-in-1 glue from my stash. 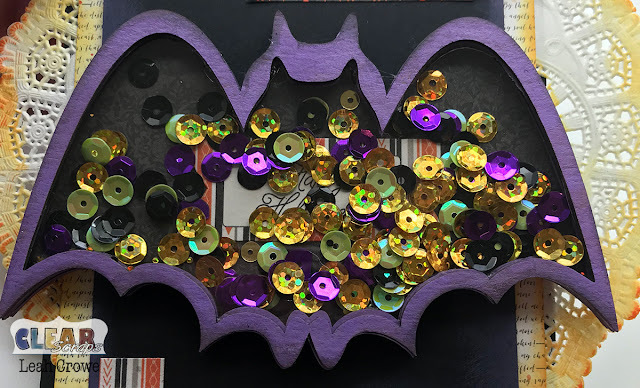 I grabbed a sharpie marker and used it to outline the shape of the bat, running the marker along the edges of the acrylic. 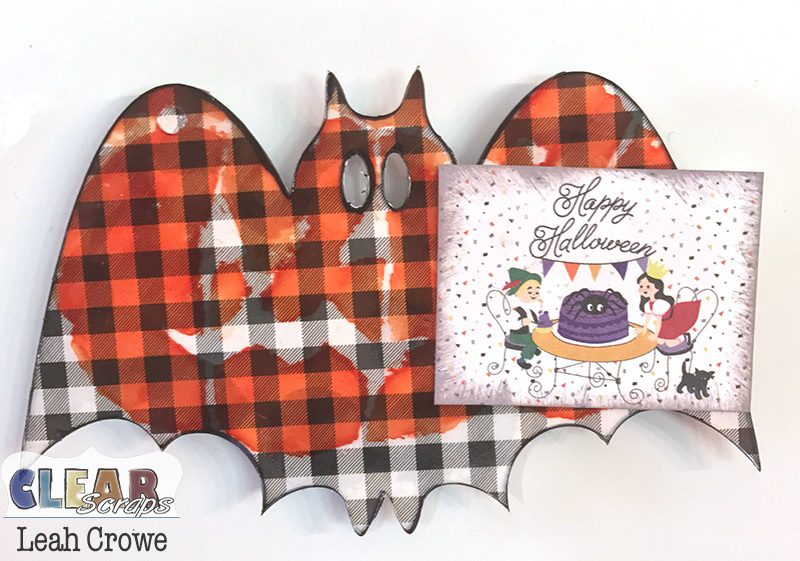 I then cut out these cute little labels from the pattern paper pad, distressed the edges and adhered them to the front of the bats in different locations. I then added a strong magnet to the backside of the bats.